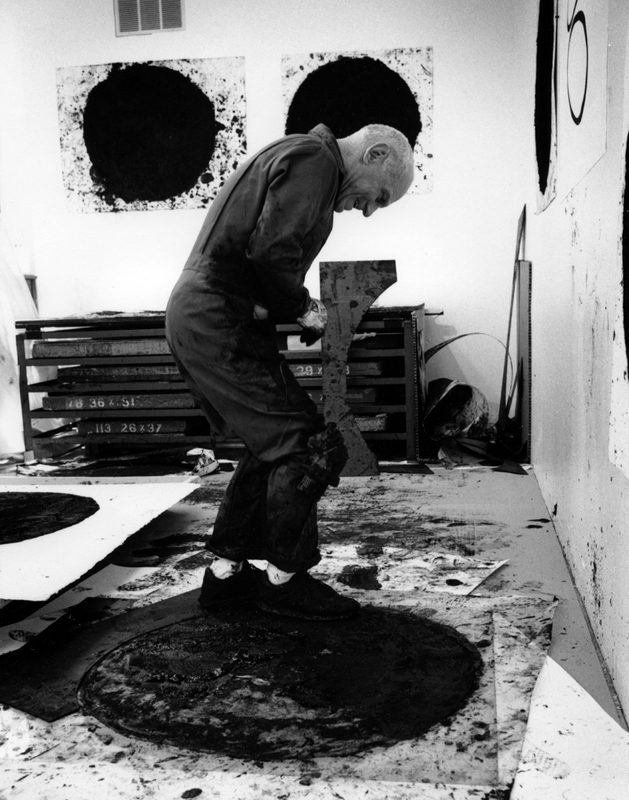 Richard Serra is a contemporary Minimalist artist known for his monumental steel sculptures. Often daunting in scale, Serra’s swooping architectural curves often provoke dizziness and disorientation as viewers walk through their winding passages. Though he also makes paintings and prints, it is Serra’s exploration of the properties of unconventional materials—such as Splash (1968–1970), a series using molten lead, and Belts (1966–1967), sculptures of vulcanized rubber—gradually increased the scale of his work. Like Sol LeWitt and Carl Andre, Serra’s attention to materiality has been the hallmark of his practice. “It was the first time I looked at sculpture seriously,” Serra said of visiting Constantin Brancusi’s studio in Paris. “I really responded to the strength and simplicity and abstraction of the work.” Born on November 2, 1938 in San Francisco, CA, the artist attended the University of California at Berkeley, graduating in 1961 with a BA in English literature. Serra went on to pursue his MFA at Yale School of Art where his fellow classmates included Chuck Close, Brice Marden, and Nancy Graves. Serra currently lives and works between New York, NY and Nova Scotia, Canada. Today, his works are held in the collections of the Guggenheim Bilbao, the Dia: Beacon in New York, the San Francisco Museum of Modern Art, the Tate Gallery in London, and the Los Angeles County Museum of Art, among others.